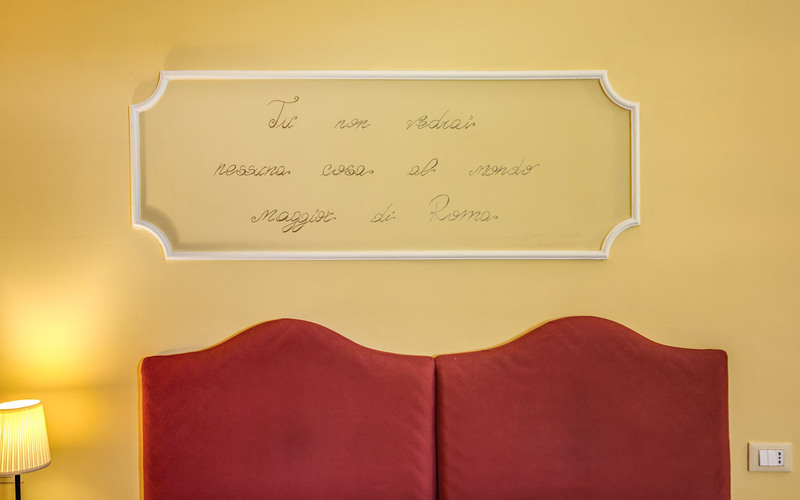 Tiffany Roma Suite offers a modest five guest rooms here in the centre of Rome, all named after precious jewels: Rubino (Ruby), Topazio (Topaz), Giada (Jade), Zaffiro (Sapphire) and Turchese (Turquoise). 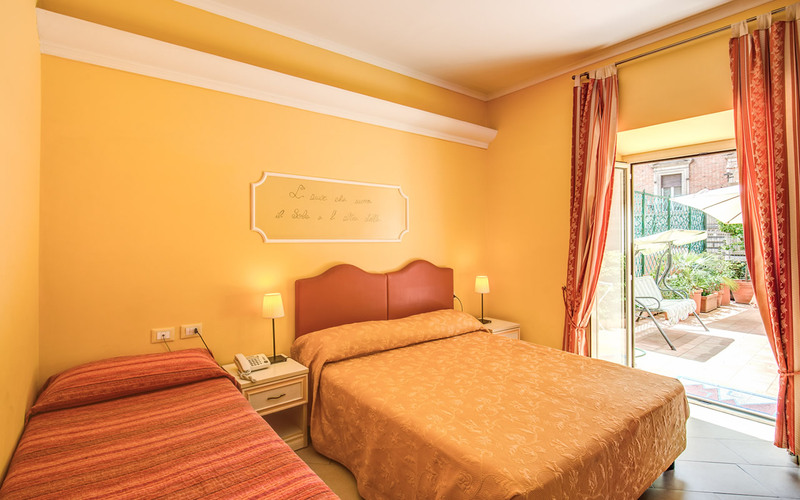 All in all, we’ve been in the business of Roman hospitality for more than 40 years so we know a thing or two and our warm and cosy accommodations are bright, colourful and serene places ideal for a happy and fulfilling trip to Rome! 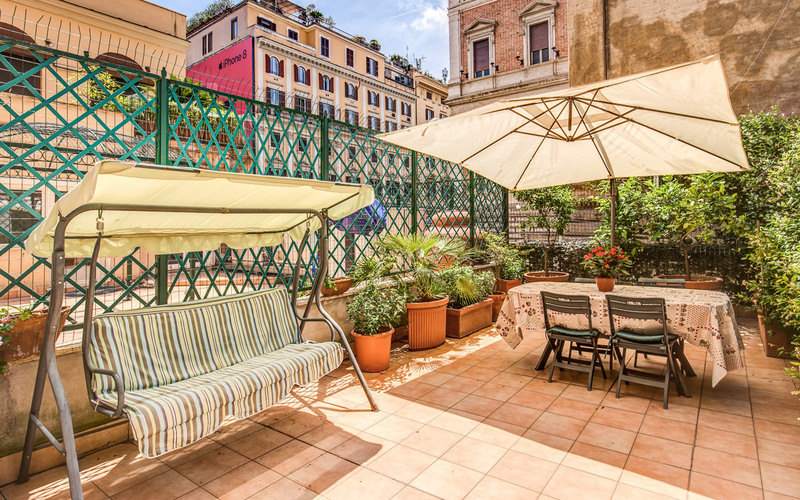 Not many cosy little B&Bs in Rome will offer Single rooms for the lone traveller but we do! You’ll feel right at home while you explore this fantastic city like the intrepid pioneer you are! Our Matrimonial rooms are bright and cheery and fully equipped to provide you and your partner with a multitude of home comforts. On request, the room is available with a double bed or 2 single beds. 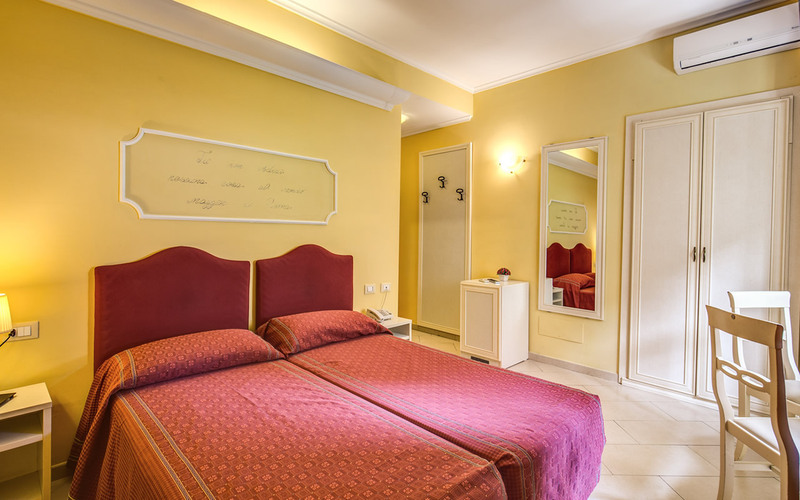 A double bed and a single bed for small families visiting Rome or three single beds for small groups of friends looking to share costs. 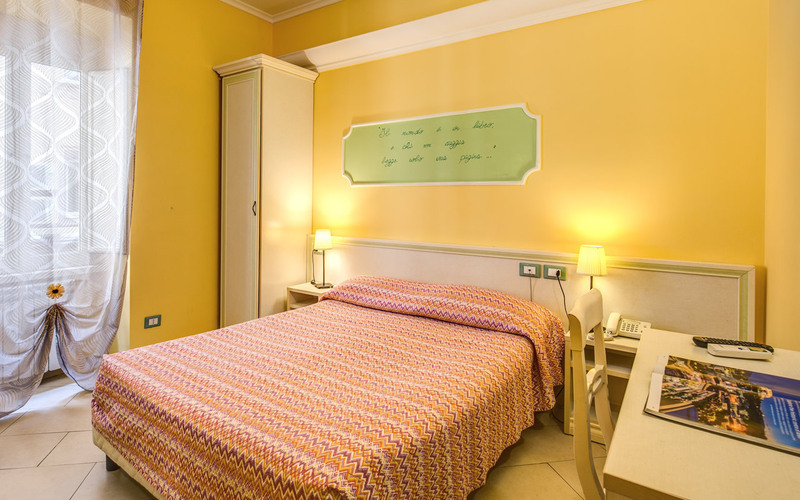 A double bed and 2 single beds, for families visiting Rome or four single beds for groups of friends looking to share costs. Contact us to arrange an airport transfer when you arrive or consult our Location page for instructions on how to get here easily from either Fiumicino or Ciampino Airport. Check-in is usually after midday but we can be flexible with the times so again, let us know and we’ll work around you. When you arrive we’ll show you to the room and help you get settled in just nicely. Wi-Fi is available throughout the building and is included in the nightly room rate. We have maps of the city designed for tourists and we’ll be happy to help you with advice and insider knowledge, recommend places to go eat and drink and book you tours through our partners, museum tickets and plenty more. Breakfast is served in the rooms and is included in the price. There is only one room with a terrace where guests can enjoy breakfast in the mild/summer months. There is a private garage that is not bookable but is always available, and is only 20 meters from the entrance of the hotel. Alternatively there are public parking on blue strip for a fee from 08: 00 to 23:00 (8 euros for the whole day). All five rooms at the Tiffany Roma Suite are jewels and each is appropriately named so! 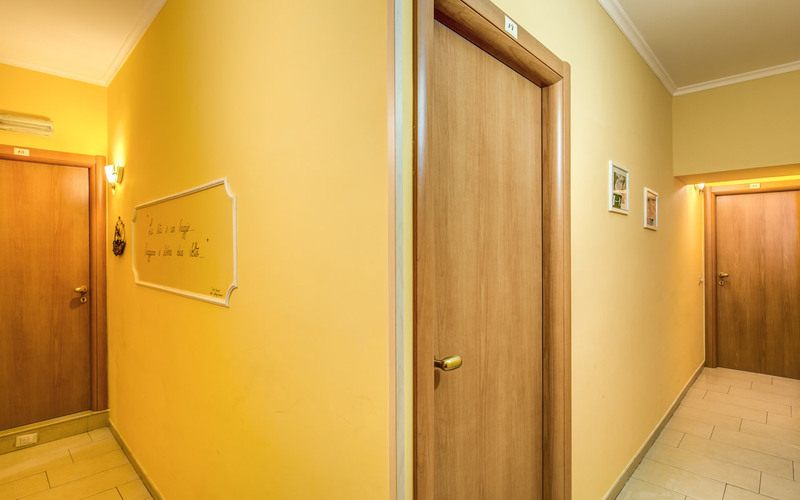 Our bright and cheery colour design combined with warm wood and refreshing tiles makes for a thoroughly delightful and homely guest house the perfect resting place during your trip to the fabulous Eternal City of Rome. Check out our Gallery! 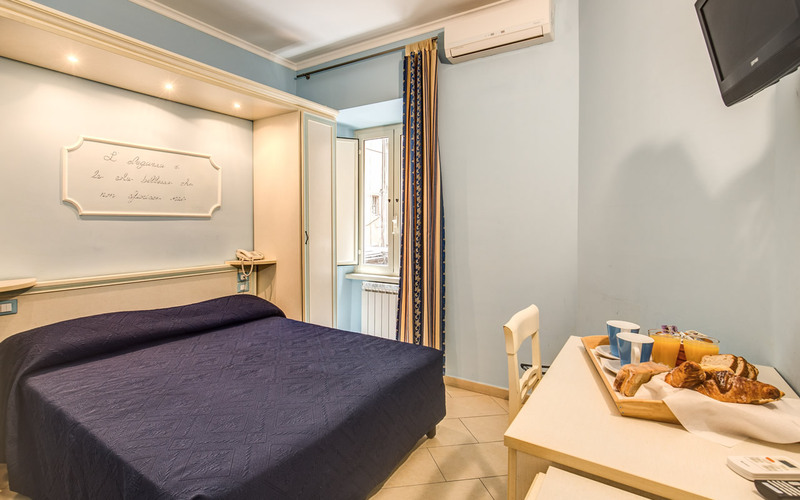 Booking is easy here on our official website and we guarantee you the best available rates for our guest house in the centre of Rome near Termini and Piazza Repubblica. Check our rates, availability and special offers!